Lots of politicians are climbers, and some rungs of the ladder are more popular than others. 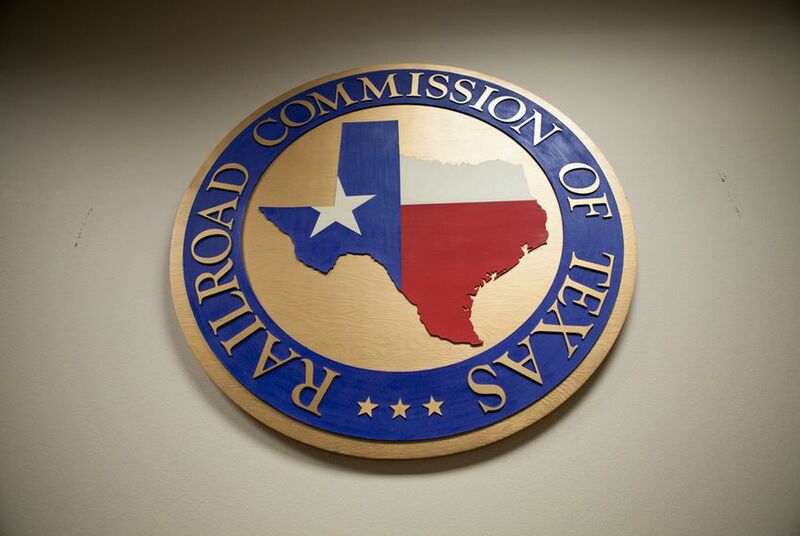 The Texas Railroad Commission might be the most popular of all. The Railroad Commission of Texas may seem like a regulatory backwater. It oversees regulation of the oil and gas business in Texas, and when that involved prices and production limits and such, it was a powerful force indeed. A lieutenant governor gave up his job for a spot on the commission; a speaker of the House did the same thing. The creators of OPEC, the Mideast oil cartel, modeled their organization in part on the Texas state agency. The commission still has some power and the full attention of the industry it regulates, but it also has a reputation as the Cape Canaveral of Texas politics — a launching pad for ambitious Democrats and Republicans who want to move on to higher office. It’s a prime location for the beginning of a campaign for higher office. It’s a statewide seat, and it regulates the wealthy oil and gas business, providing commissioners with a financial base from which to start another race. The list of those who have done it, successfully or not, includes former Comptrollers John Sharp and Carole Keeton Strayhorn. Buddy Temple and Kent Hance tried unsuccessfully to vault from the commission to the Governor’s Mansion. Bob Krueger gave it up for a short-lived appointment to the United States Senate before losing a special election to Kay Bailey Hutchison. Barry Williamson tried to hop to attorney general and might have pulled it off with a better campaign. Elizabeth Ames Jones ran for the state Senate and lost. Charles Matthews became a university chancellor, as did Hance. Tony Garza became the United States ambassador to Mexico. Michael Williams ran for Congress and missed; he is now the state’s commissioner of education. Now, Commissioner Barry Smitherman, who has been on the job for all of two years, is openly mulling a race for state attorney general. And Commissioner Christi Craddick, just elected in November, is already eyeing the open comptroller’s office. Other offices just don’t have that sort of spring. It’s the combination of holding a statewide office and regulating an industry that combines a lot of wealth with an abiding business interest in legislative and regulatory policy. The state’s oil and gas industries have produced a fair amount of the money that fuels Texas politics, and a commission seat gives a politician an opportunity to get to know those players. Land commissioners don’t have that kind of constituency. The boss of the General Land Office has regular contact with veterans and property owners. Jerry Patterson is challenging his predecessor, David Dewhurst, for lieutenant governor in 2014. Dewhurst got there on his own finances, however, not by raising gobs of money from others. Garry Mauro, land commissioner before him, challenged Gov. George W. Bush in 1998 and lost. Agriculture commissioners do a little better. Rick Perry jumped to lieutenant governor and then to governor. Susan Combs became comptroller. And Todd Staples, the current occupant, has jumped into that race for lieutenant governor. Greg Abbott is expected to try to convert his experience as a three-term attorney general into a governorship with an announcement expected as early as this week. That office actually rivals the Railroad Commission as a political runway, differing only in volume. John Cornyn, now a United States senator, went before him. Cornyn succeeded Dan Morales, who after a failed bid for governor ended up in federal prison after pleading guilty to falsifying documents. Before him, Jim Mattox ran for governor in 1990 and lost to Ann Richards. And before him, Mark White challenged and beat a sitting governor who, in a rematch four years later, sent White home. But the Railroad Commission remains the most popular launching pad. The jumpers aren’t always looking for their next political gig the day they arrive. Williams was there for a dozen years. Matthews was there for a decade. A fresh crop is in place for the moment, and just one seems settled: David Porter is an accountant who worked in that business in the oil patch for years before running for office. Meanwhile, two candidates are actively looking at Smitherman’s post on the strength of rumors that he is ready to take off. It’s impossible to tell if this is really the job they want.